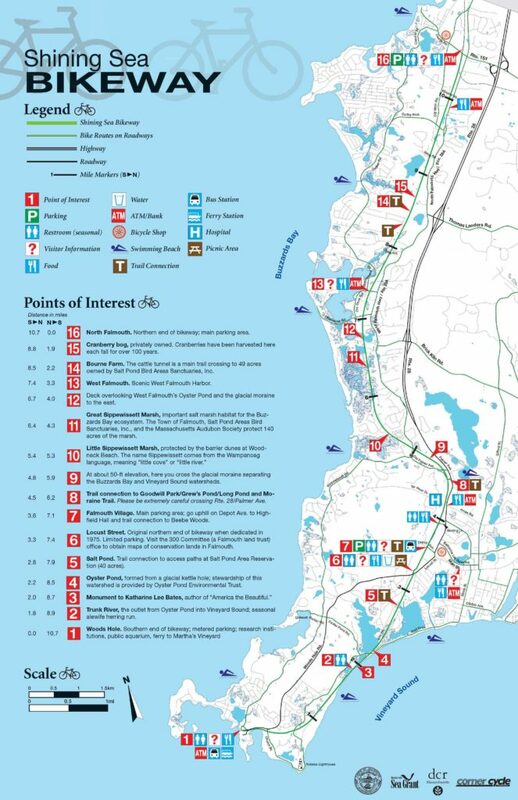 The Shining Sea Bikeway is a 10.7 mile paved path between Woods Hole and North Falmouth, The trail passes by glacial ponds, farms, cranberry bogs, and wooded reservations. 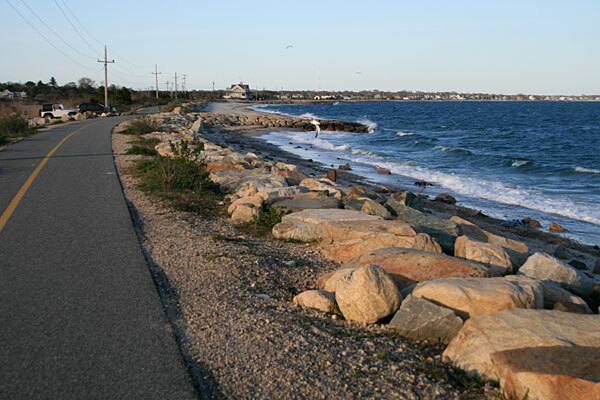 The most spectacular section is the two miles along the water at the Woods Hole end of the trail. There are connections to the Ferry terminal, Palmer Rd. parking lot, and other trails and reservations. We’ve attached a route map and a map with key distances and trail information.